Representatives from Safe Kids McKean County are promoting youth safety and injury prevention with presentations to more than 200 sixth- and seventh-grade students in the Health and Wellness classes at Fretz Middle School. "Our students had the wonderful opportunity to have a great presentation on many imperative safety topics,” said Health and Physical Education Educator Judy Abbey, B.S. M.Ed. “It is important to use our community resources to help explain the importance of safety and awareness to all youth in our school district. CARE for Children staff spoke to students about bike safety and the importance of wearing a helmet, demonstrating through the use of a coconut crusher the potential damage that could be sustained in the case of an accident without the use of a helmet; youth sports safety including concussions, hydration and proper rest and training techniques. 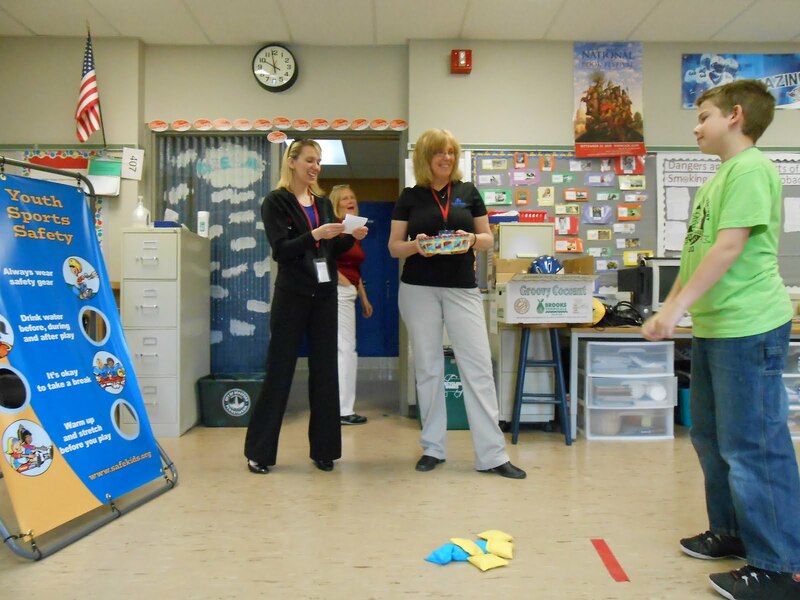 The students played a Safe Kids Sports Safety bean bag toss game, which the McKean County chapter received through a grant from Safe Kids USA through founding sponsor Johnson & Johnson. Safe Kids McKean County is a collaboration of community organizations, business and individuals dedicated to promoting child safety and injury prevention through education, collaboration and advocacy. CARE for Children is the lead agency for Safe Kids McKean. Pictured, sixth-grade student, Brent Kennedy, takes a shot at the Safe Kids Youth Sports Safety bean bag toss game Wednesday during the Safe Kids McKean County presentation in the Health and Wellness class. CARE for Children staff Mandi Wilton Davis (l), Kim Murphey (r) and Tina Martin (not pictured) spoke to the students about the importance of bike and wheel safety and youth sport safety.